The Long Branch Library Book discussion group will read Faceless Killers by Henning Mankell. 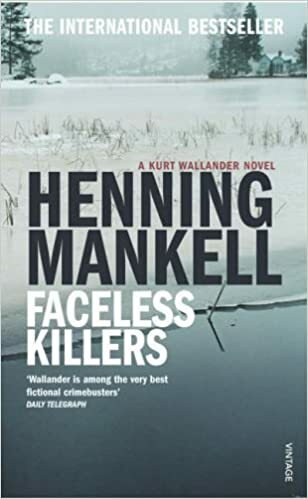 Faceless Killers is the first Kurt Wallander mystery by Swedish novelist Mankell. When the brutal, seemingly unprovoked murder of an elderly farm couple in a remote area near Ystad seems linked to foreigners, an ugly wave of racist hate grips the region. Wallander, a middle-aged detective with no shortage of personal problems--broken marriage, troubled daughter, aging father--recognizes that this murder may signal a new era of hate-filled crime in his country and is determined to solve it.